I never really got on board with mixing metals, especially silver and gold, but I must admit that having to constantly remove and change jewellery became a bit of a bore. I guess you could say I ended up conforming and allowing myself to be led on by trends but for once, I didn't regret it. I love the idea of layering in general and layering jewellery, albeit somewhat new to me, is something I do more and more of. I don't know about you but I find as Spring and Summer approach I gravitate towards jewellery far more often than throughout the winter; with less clothes to be bundled up in, I like adding jewellery to my outfits to make them feel less bare. With that said, choosing different pieces that match kind of puts me off if I'm being completely honest - it's hard enough picking an outfit let alone having the task to pick and choose jewellery that works. So I just stopped caring. In these photos I'm wearing some gorgeous new in jewellery picks from Thomas Sabo which I absolutely adore. First off, a delicate silver bracelet which is gorgeous for an evening out - because it's so fine and subtle it's really easy to incorporate into a set of other bracelets, of any metal and any style, small enough to get lost amidst too many stacked together but perfect to provide a silver shimmer as you move. The brand has gorgeous necklaces for women and I just can't help falling in love with their collection, I've had my eye on an engraved piece for such a long time and when I found this gold disk necklace I simply couldn't resist, it's part of the Love Bridge line meaning I was able to customise it with my initial (a small detail I absolutely love as it makes jewellery feel much more personal). But then, funnily enough, my other picks were silver and I had a mini meltdown wrecking my brain over the huge error I made. When actually, it was perfect. 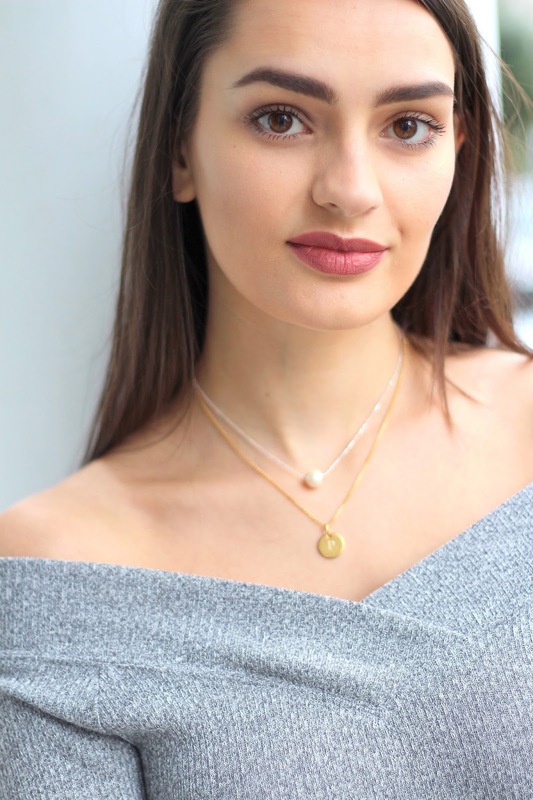 I think the gold necklace is so true to my style, it's what I personally adore and will undoubtedly get so much wear out of but then I also love how easily I was able to add a touch of glamour and class by layering a silver pearl necklace above. Both necklaces have three size variations which makes it so easy to style the same pieces in different ways, for instance I can adjust it so the pearl falls bellow the engraved disk or I could have the two sitting at the same length depending on the look I'm going for. This post is sponsored by Thomas Sabo. All writing and thoughts are my own, read my full disclaimer here.